Analytics Canvas desktop gives you direct, visual access to databases, files, and the Google Analytics APIs. Extract, transform and analyze your data in a visual environment without SQL, VBA or specialized resources. Published by: nModal Solutions Inc. While we initially built Analytics Canvas for seasoned analysts, we’re now serving an increasingly diverse audience. From junior analysts to senior IT professionals, small business owners to web designers, Analytics Canvas is used by a global audience with a wide range of skills and experience. If anything is unfamiliar to you or if you’d like a hands-on demo, please contact us and someone from our team will provide the support you need. 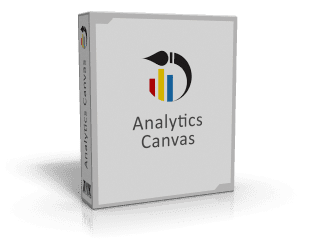 If you need assistance with your installation or have any questions about Analytics Canvas, please contact us. Upgrading? Simply uninstall your current version through the Windows control panel, then download and install the latest version on this page. Your settings will remain in-tact and your Canvas files will always be forwardly compatible. Trouble with the download or install? The file should be approximately 121mb. If you are unable to download the file from our servers, please try this Dropbox link. We’ve made a series of tutorial videos designed to introduce you to Canvas and help you get started with step-by-step examples. Take advantage of these other resources to help you get up to speed with Analytics Canvas.